The uprising of Spanish troops stationed in Morocco on July 17, 1936 initiated a military rebellion, supported by civilian sectors, against the Republic, which spread to peninsular Spain in the following days. In Catalonia the uprising began on the 19th, where it met with the response of the security forces under the command of the Generalitat, led by Lluís Companys, to which the political organizations integrated into the Frente Popular and the trade unions, the CNT and the UGT joined. 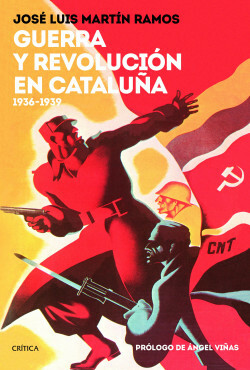 The uprising was defeated in Barcelona and most major Spanish cities, including Madrid, Valencia and Bilbao; yet Hitler and Mussolini’s foreign support for the rebels made it possible to turn a coup in the throes of failure into a civil war that lasted until March 1939. In Catalonia, the uprising and its defeat had far-reaching consequences.